Coming Up For Preferred Stock Investors: The Global Credit Crisis and the recession that followed have created an interesting opportunity for those who invest in bank Certificates of Deposit (CDs). If CD investors are not going to consider investing a portion of their portfolio in high quality preferred stocks now, they never will. While the Global Credit Crisis has pushed CDx3 Preferred Stock dividend rates to the highest level ever, the recession has frozen demand for auto and home loans, causing banks to offer near-record low interest rates for CDs. 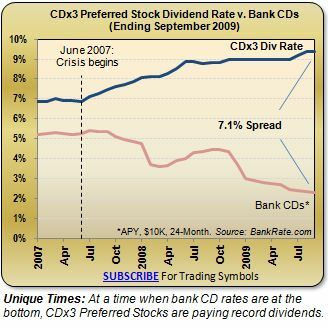 At the same time that CDx3 Preferred Stock dividend rates have climbed above 9%, bank CD rates have fallen to 2.35% (24-month, national average APY, bankrate.com). With loan application volumes way down, and personal savings rates way up, banks are making it real clear - they do not want you cash. Check out the chart at the bottom of this CDx3 Newsletter (jump to chart). High quality preferred stock are now paying a 7.1% premium over what CDs are paying, up .1% over last month. How low must interest rates on bank CDs go before CD investors seek another alternative? The introduction of State Street's new preferred stock Exchange Traded Fund (ETF) in September motivated me to look under the hood of the four preferred stock funds that are now available to investors and lay out what they're really made of for you. Preferred stock investors buy preferred stocks with some very specific goals in mind such as reliable earnings at acceptable risk. After digging through these ETF's I've concluded that it is impossible to obtain those goals by investing in any one of them. ETF's are funds that are composed of multiple individual stocks just like mutual funds except, unlike mutual funds, ETF's price in real-time throughout the day. On September 17, State Street Global Advisors listed America's fourth preferred stock ETF (PSK: info | quote) joining iShares (PFF: info | quote), PowerShares Preferred Portfolio (PGX: info | quote) and PowerShares Financial Preferred Portfolio (PGF: info | quote). My analysis focused on the risk-related aspects of the four funds. Specifically, I evaluated the four preferred stock ETF's with respect to their (1) diversification, (2) creditworthiness ratings and (3) dividend obligations of the top 10 holdings of each fund. Table 1 summarizes the results of my risk assessment. I also looked at (4) the origin (foreign or domestic) concentration and (5) the earning potential of these funds. If you are seeking a well diversified preferred stock portfolio none of these funds are going to give it to you. The four preferred stock ETF's are between 86.99% and 100% invested in preferred stocks from financial firms (see Table 1). There is little or no industry diversification in these funds. (NOTE: CDx3 Preferred Stocks are offered by 10 different types of businesses, allowing CDx3 Investors to build a diversified portfolio. See Preferred Stock Investing, page 135). While the majority of the preferred stocks held by these ETF's carry investment grade ratings, a surprising percentage do not. PowerShares PGX performed the best here with 9.86% (about 1 in 10) of its holdings rated below investment grade. For PFF and PGF, about one in every three of the preferred stocks within the funds carry "speculative" (or "junk") grade ratings. The extent to which PSK holds non-investment grade securities is not specified by State Street. (NOTE: a preferred stock must be rated investment grade in order to qualify as a CDx3 Preferred Stock. See Preferred Stock Investing, page 116). When a company issues a new preferred stock they must declare in the prospectus whether the dividends are "cumulative" or "non-cumulative." The dividends of a cumulative preferred stock must be paid to the shareholders. They can be deferred, but they cannot be cancelled. If the company gets into some kind of cash bind, and cannot make the dividend payment to you on time, they still owe you the money (plus interest). Missed dividends, if any, accumulate with cumulative preferred stocks. Investors do not have this protection with dividends that are classified as "non-cumulative." The last column in Table 1 shows you what I found when I analyzed the top 10 holdings of each preferred stock ETF. There are two observations here. First, the top 10 positions of all four preferred stock ETF's are between 30% and 90% non-cumulative preferred stocks. Second, because these funds have such a large percentage of the fund concentrated in the top 10 issues, the risk related to this non-cumulative dividend status is concentrated as well. If any one of these top 10 non-cumulative issues starts cancelling dividends, the impact on the fund performance would be much more significant than if the non-cumulative issues were limited to lesser held issues. (NOTE: All CDx3 Preferred Stocks are cumulative. See Preferred Stock Investing, page 121). Several European financial institutions (e.g. ING) were recently downgraded below investment grade since it appears likely that the European Commission is about to freeze preferred stock dividend payments by some of the European banks that have accepted European bailout funds (detailed info, see paragraph 26 on page 8). Wells Fargo Advisors notified its clients on August 26, 2009 that "...banks currently most at risk for enforced regulatory [dividend] deferral...include Allied Irish, Bank of Ireland, Dexia, ING, LBBW, Lloyds, Northern Rock and Royal Bank of Scotland." The note continues to warn that "...while all European banks will be subject to viability reviews...the potential [dividend] deferrals will likely come from those banks that are required to submit restructuring plans." So I looked at how exposed these ETF's are to European banks. Table 2 shows you the results for the new State Street ETF (PSK). I found that a substantial number of the preferred stocks within each ETF are issued by European financial institutions. While only some European banks are currently the target of the EC's dividend payment restriction proposal, this policy direction represents risk for investors exposed to preferred stocks issued by European banks under the EC's jurisdiction. (NOTE: CDx3 Selection Criteria number 7 specifies that for a preferred stock to qualify as a CDx3 Preferred Stock, it must be issued by a U.S. company; no foreign issues. See Preferred Stock Investing, page 123). Preferred stock ETF's eliminate the downstream capital gain opportunity that those investing in individual preferred stocks and building their own preferred stock portfolio enjoy. 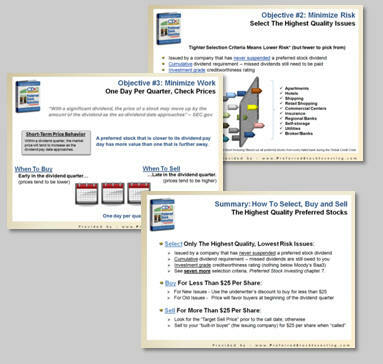 The preferred stock investment method that I document in my book, Preferred Stock Investing, uses the highest quality preferred stocks to create multiple downstream capital gain opportunities while earning great dividend income in the meantime. By adding a capital gain to the dividends that CDx3 Preferred Stocks pay, effective annual returns typically exceed 10%. Key to the strong earning potential of CDx3 Preferred Stocks is what Preferred Stock Investing refers to as the Rule of Buyer/Seller Behavior (page 43). This rule says that upward pressure on the market price of a preferred stock will build as the dividend payment date (ex-dividend date) approaches. In other words, the value of a preferred stock that is closer to its dividend payment is higher than that of a preferred stock that is further away from its dividend payment. As the dividend pay date gets closer, the market price of a preferred stock tends to increase. So preferred stock investors are usually better off by making their purchases at the beginning of a preferred stock's dividend quarter (when prices tend to be lower) and selling at some point in the future toward the end of the dividend quarter (when prices tend to be higher). By using what Preferred Stock Investing calls the Target Sell Price (chapter 13, "Selling For The Target Sell Price") as a guide, you can earn a capital gain on top of the dividend income, pushing your effective annual return well above 10%. But preferred stock ETF's eliminate these downstream capital gain opportunities (read more). Since these funds are composed of preferred stocks with varying dividend payment schedules, the upward price pressure being experienced by one issue that is approaching its dividend payment is offset by another that has just passed its dividend payment. By combining preferred stocks with varying dividend payment schedules into a single fund, the investor is no longer able to take advantage of the Rule of Buyer/Seller Behavior; the opportunity for a capital gain is eliminated by preferred stock ETF's. The good news is that these four preferred stock ETF's are convenient to invest in. But they expose preferred stock investors to an extreme lack of diversification, non-cumulative dividend risk and speculative grade preferred stocks issued in large part by foreign banks at a time of substantial European uncertainly. And, by including preferred stocks with varying dividend payment schedules, the opportunity for an investor to add a downstream capital gain onto their dividend earnings is eliminated. Building your own preferred stock portfolio by buying individual issues that are consistent with your personal investment goals is going to take longer than buying shares in a preferred stock ETF. Preferred Stock Investing explains how to do so on your own or, if you would rather someone else do the research and calculations for you, you can subscribe to the CDx3 Notification Service. But if you are a preferred stock investor looking for an effective annual return north of 10% with acceptable risk, it is not clear how investing in any of the four available preferred stock ETF's would allow you to meet your goals. Another new feature was added to the PreferredStockInvesting.com web site during September. If you would like to see what other preferred stock investors think of my book, Preferred Stock Investing, I have provided a link at PreferredStockInvesting.com directly to the reviews that readers have posted on Amazon.com. I'm particularly proud of these reviews since they are written and posted directly by readers themselves. 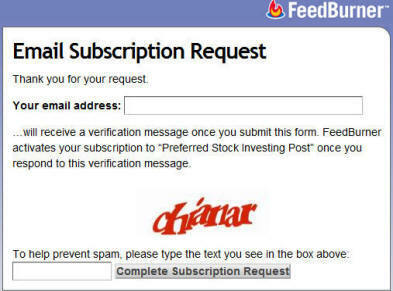 Want to see what others think of Preferred Stock Investing? From the PreferredStockInvesting.com home page, click on the link labeled Recent Reader Reviews and see what other preferred stock investors have to say about the book. Also new is the "Look Inside" feature at Amazon for Preferred Stock Investing. If you do not already have your copy of Preferred Stock Investing, you can satisfy your curiosity by using Amazon's Look Inside feature. Look Inside allows you to view and search the pages of the book. You can see the book's Table of Contents, Index and read a portion of the book itself, all online for free. 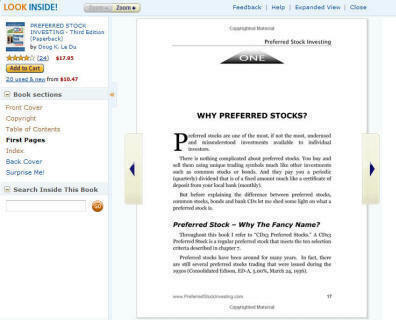 To look inside Preferred Stock Investing, just go to the book's product page and click on the book's cover image. Look Inside is fun to use and allows you to look over the book before your purchase it. According to several real estate watchers, a combination of population demographics and market conditions has created an opportunity for long-term investors in apartment housing. The Global Credit Crisis and subsequent recession has brought construction of new apartments and entry level housing to a halt for over two years now. But young people continue to age just like the rest of us. So, for the next several years, we have an ever-increasing number of young people looking for a place to rent at a time when the supply of desirable rental housing has been substantially reduced. And remember that, tip to stern, new apartment complex construction takes three to four years so there will be little relief in supply any time soon. Even if apartment developers were to start building today, which they're not, there would not be a substantial increase in supply to meet the increasing demand until 2013. Accordingly, analysts expect apartment rental revenue to steadily increase at least through 2013 for such apartment developers as BRE Properties (see 2009/Q2 Fact Sheet). 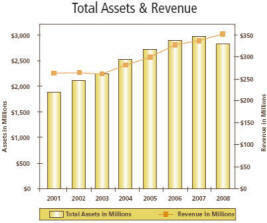 Looking at the Total Assets & Revenue chart from BRE's 2009/Q2 Fact Sheet, you can see the steady revenue growth for the last two years. While the market value of BRE's properties declined during 2008, their revenues have continued to increase - a claim that home builders are not making these days. In a recent analysis, BRE was named as one of the top 10 apartment complex developers to benefit from this unique constellation of population demographics and market conditions. BRE, founded in 1970, is a $1.5 billion developer of apartment complexes in the Western United States. BRE is headquartered in San Francisco and owns and operates 74 properties composed of 21,485 units throughout California, Washington, and Arizona. To see BRE's property portfolio click here. BRE Properties, Inc. is an issuer of CDx3 Preferred Stock. Reader Note: The purpose of the CDx3 Company Spotlight article is to give you a sense of the types of companies that issue CDx3 Preferred Stocks. Companies that appear in the CDx3 Company Spotlight either currently, or in the past, have issued CDx3 Preferred Stocks. Since I am not familiar with your financial goals, resources or risk tolerance, my mention of these companies here should not be taken as a recommendation by me for you to buy, or not buy, securities issued by these companies. During these market conditions, how do I figure out which specific preferred stocks to buy? - Preferred Stock Investing Reader's Forum. I do not think that I am any different than anyone else when I go shopping for a new preferred stock purchase. I want the highest return at an acceptable level of risk, and I do not want to spend all day trying to figure it out. Let me show you how I go shopping when I make a new preferred stock purchase. When considering a purchase, I narrow the field of candidates from over 1,000 to just a handful by looking in one place. The number of preferred stock issues available to purchase changes every day. Some reach their maturity date, some are called by the issuing company and new ones are introduced. But there are usually between 1,000 and 2,000 issues to pick from at any point in time. So how does an individual investor decide which one is the best pick? To quickly narrow the field I restrict my selections to those preferred stocks that meet the ten CDx3 Selection Criteria listed in chapter 7 of Preferred Stock Investing. You can see three of these ten selection criteria in the sidebar at the top of this CDx3 Newsletter. By this one step I eliminate all but the highest quality preferred stocks, so in one step I know that I am now looking at the best issues - "CDx3 Preferred Stocks." The list of candidates has fallen from over 1,000 down to about 200 left to pick from. That saved a ton of time and effort. Next, of these 200 I just want to consider the specific CDx3 Preferred Stocks that, my research shows, are at a specific point in time that tends to favor buyers during a "buyer's market" (which we are currently in). The CDx3 Preferred Stocks that meet the four specific timing criteria provided on page 160 of Preferred Stock Investing are what I am looking for. Each month, subscribers to the CDx3 Notification Service receive the resulting list of CDx3 Preferred Stocks that are ripe for purchase. The list is called the "CDx3 Bargain Table." By following the steps provided in chapter 10 of Preferred Stock Investing, "Buying During A Buyer's Market," you can build this table on your own without having to subscribe to the CDx3 Notification Service. This month's CDx3 Bargain Table (seen here with the trading symbols removed to protect subscription values) narrows the list of this month's candidates down to 30. Just by looking at this month's CDx3 Bargain Table I know that I am considering the highest quality issues that are at a point in time that tends to favor buyers during the current buyer's market conditions for CDx3 Preferred Stocks; one table that is updated every month for subscribers to the CDx3 Notification Service. The rightmost four columns of the table are there to help investors who may have varying investment objectives. Some investors may want to maximize yield; others may be shooting for a big capital gain while still others may be interested in the highest overall effective annual return (EAR). Notice that the table is sorted by the Moody's Rating (second column) which we update for subscribers with every CDx3 Bargain Table; all CDx3 Preferred Stocks are rated "investment grade." Let's say that I am comfortable with issues that Moody's has rated Baa2. That leaves me with seven issues to consider. Just by looking at this month's CDx3 Bargain Table I have narrowed the market down from over 1,000 issues to seven - just like that. As you can see on the table, the current annual dividend yield of these seven ranges from 7.4% to 8.7%. Let's say that I am looking for a yield of 8.25% or higher (you have to love a buyer's market). That leaves me with three remaining choices, labeled A, B and C on the table. These remaining three candidates meet all ten of the CDx3 Selection Criteria, are at a point in time that tends to favor buyers during current market conditions, have a level of risk that I am comfortable with and offer the annual dividend yield that I am looking for (8.25%+). Now let's pick our winner. Of these three remaining candidates, which specific preferred stock is most likely to provide me with the highest overall return? The answer is (C), even though its EAR, in the event of a call, is the lowest of the three. While the EAR, in the event of a call, of Preferred Stocks A and B is higher than that of Preferred Stock C, that only does me any good if A or B are, in fact, called by the issuing company. Remember, the higher the declared dividend rate the more likely the call. Most CDx3 Investors are low-risk investors. As spectacular as the 21% EAR of Preferred Stock B appears, you will only earn that 21% if the issuing company calls the issue on/after its call date. An 8% preferred stock is much more likely to be called by the issuing company than a 7% preferred stock. In fact, once dividend rates fall to a point where the issuing company can introduce a new preferred stock a mere 3/8% below the declared dividend rate of Preferred Stock C (7.625%), there is a 91% likelihood that the issuing company of Preferred Stock C is going to call it (Preferred Stock Investing, pages 217-218). Since the long-term average dividend rate for CDx3 Preferred Stocks is around 7%, Preferred Stock C has a very high probability of being called, delivering a $2.09 per share capital gain to me if I buy today. Also notice that preferred stock C has a much larger dividend payout left. CDx3 Preferred Stocks all have a five year life span (IPO date to call date) and pay quarterly dividends. That means that every CDx3 Preferred Stock is going to pay out 20 dividend payments. I'm not only going to be earning 8.73% on my money with Preferred Stock C, I'm going to be earning that great return for a longer period of time than with the other two candidates. Lastly, preferred stocks with a higher declared dividend rate tend to command a higher market price. Once dividend rates fall back to their historical levels closer to 7%, the market price of previously issued preferred stocks that pay a higher dividend rate tends to go up (per the Rule of Rate/Price Opposition, Preferred Stock Investing, page 52). Since new issues are introduced at $25 per share, I know that an 8%-er is likely to command a market price far greater than $25. Looking at the CDx3 Bargain Table, I can buy Preferred Stock C for $22.91 per share today. That means that, in addition to making 8.73% per year on my investment, I am setting myself up for a great capital gain downstream should I choose to sell on the open market prior to the call date. 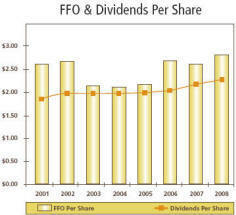 Adding a capital gain to the fixed dividend income boosts my overall effective annual return above 10%. Let's face it, with yields all above 8.25%, there are no bad choices here. But Preferred Stock C not only has the highest yield of the three, but it pays out longer and has the best chance for a nice capital gain downstream whether I choose to sell it on the open market or just hold it until it is called by the issuing company. When I'm in a buying mood, that's how I go shopping for preferred stocks. October 1 - Trust Preferred Stocks - Why Not Just Issue A Bond? The new Preferred Stock Investing Reader's Forum is the most comprehensive (and free) news and information source specifically for preferred stock investors anywhere on the web. Please accept my invitation to receive articles by email and visit the Forum. The spread between the interest rates being paid on bank Certificates of Deposit (CDs) and the highest quality preferred stocks (CDx3 Preferred Stocks) is now at 7.1%. This is a condition that cannot last and only exists today because of the bizarre combination of circumstances that caused the simultaneous onset of a Global Credit Crisis and an economic recession. On this chart, the Global Credit Crisis pushed the top line up while the economic recession pushed the bottom line down - simultaneously. The Global Credit Crisis was characterized by larger than normal default rates on real estate. As defaults rates go up, banks are required to reserve increasing amounts of cash. Hurting for cash to shore up balance sheets, banks pushed up the dividend rates being offered by newly issued preferred stocks in order to attract investors - all way up and through 9%. Simultaneously, as we entered an economic recession, people started hanging onto their cash. Personal savings rates went way up and consumers put off large purchases such as new homes, automobiles and appliances - purchases they would normally be seeking loans for. Choking on cash in savings accounts and CDs with no one to loan it to, bank CD rates have fallen to their lowest values in memory. By the end of September 2009, a 24-month bank CD in the U.S. pays a miserly 2.35% interest rate (APY, bankrate.com). With the highest quality preferred stocks now paying about 9.5% and bank CDs paying 2.35%, the spread between the two (7.1%) is starting to look pretty attractive to CD investors. We should reach a tipping point soon, if we haven't already, as CD investors move away from CDs and into high quality preferred stocks. But when will the spread be enough to spark a mass migration of investors away from bank CDs and into high quality preferreds? With a 7.1% incentive for doing so, is such a mass migration already under way? I will report back to you in next month's issue of the CDx3 Newsletter.